Even though the tragedy involving people dying in nursing homes last year in Hollywood, Florida after Hurricane Irma dominated news headlines, and led to some important changes in terms of new emergency power supply requirements in Florida nursing homes in order to prevent a similar tragedy, according to recent reports, most Florida nursing homes are still not in compliance with the new law. As a result, even though the deadline for compliance was more than two months ago, the state of Florida has given these facilities another four months (until January) to ensure that they are in compliance. What does this mean in terms of the potential for another electrical outage to lead to additional nursing home injuries and deaths as we approach a new hurricane season this month (September)? The new state requirement mandates that each facility have a generator that is capable of keeping temperatures at or below 81 degrees (the federally-regulated limit) for at least 96 hours, which would also include 72 hours of fuel supply. Yet, according to reports, only 170 out of almost 700 nursing homes throughout Florida have fully complied with this requirement to date, while the others (equivalent to 75 percent of all Florida nursing homes) plan to take advantage of the extension and wait at least another four months. Is Florida Being Serious Enough About This? While each facility now supposedly has a temporary generator and a safe place to move its residents to in order to cool down in cases of extreme heat, it is concerning that most of them still do not have a generator strong enough to power the entire building. It is also concerning that, even though the homes have been threatened with fines and having their licenses revoked, it is possible that they are not taking the requirement seriously, especially if there is a possibility that Florida will continue to provide them with extensions. This could arguably be endangering the lives of the elderly dependent upon these facilities. This also seems somewhat negligent, given that twelve of the 14 deaths that followed last year’s storm were ruled as homicides in these facilities. According to reports, after the facility residents were subjected to temperatures of 91 degrees inside the facility for an extended period of time, the facility delayed calling 911 and failed to evacuate the residents, even though there was a hospital with functioning air conditioning less than one block away. 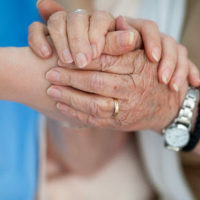 If you or a loved one has suffered because their Florida nursing home facility failed to provide such basics as air conditioning and/or neglected other duties, contact our Fort Lauderdale personal injury and nursing home abuse attorneys at Friedland & Associates today to find out how we can help.